As SurveyPocket evolves, we're seeing exciting offline question type support continue to increase. One of the latest offline capabilities added is Rank Order question functionality, which allows survey takers to rank items in order of preference by selecting a numeric value for each answer prompt. 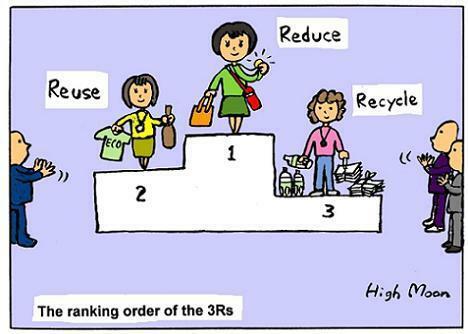 Are you familiar with doing field research? Imagine conducting survey after survey, carrying and collecting all of that paper, just to have to later input the collected data into your online account . Now imagine carrying an iPad, with no worries of internet since SurveyPocket supports fully offline abilities. 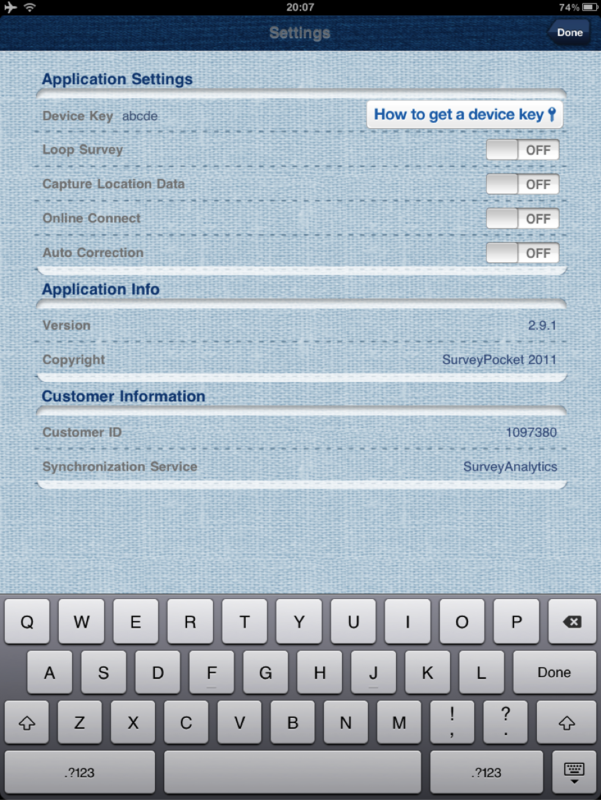 Later, once you have internet, just sync your iPad with your online Survey Analytics with a touch of a button. Try it out. It's free! 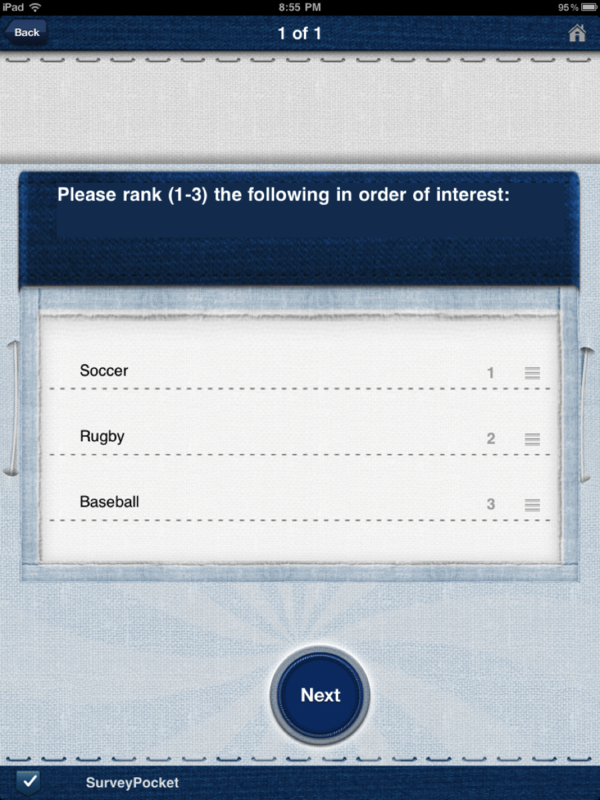 How to add a Rank Order Question and view in SurveyPocket? 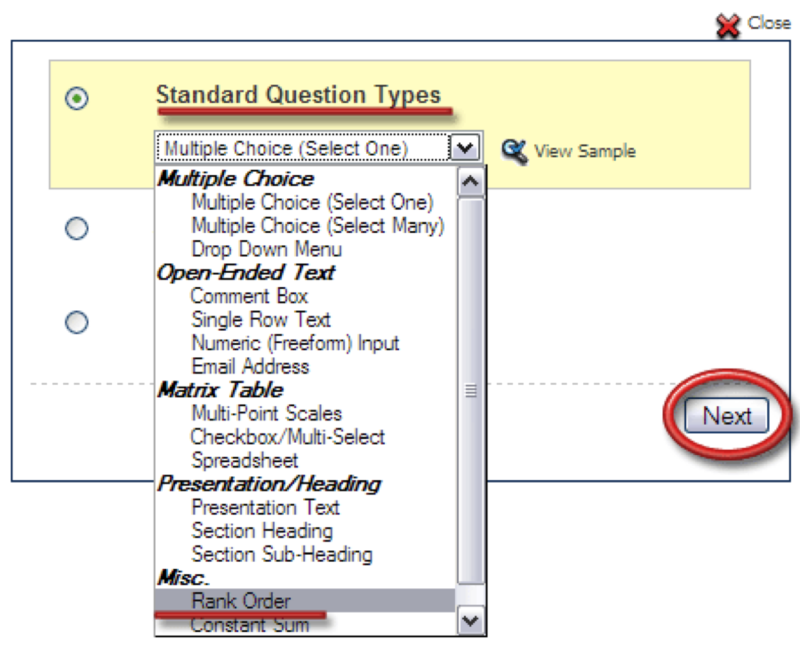 Step 2: From the Standard Question types select the Rank Order question type. 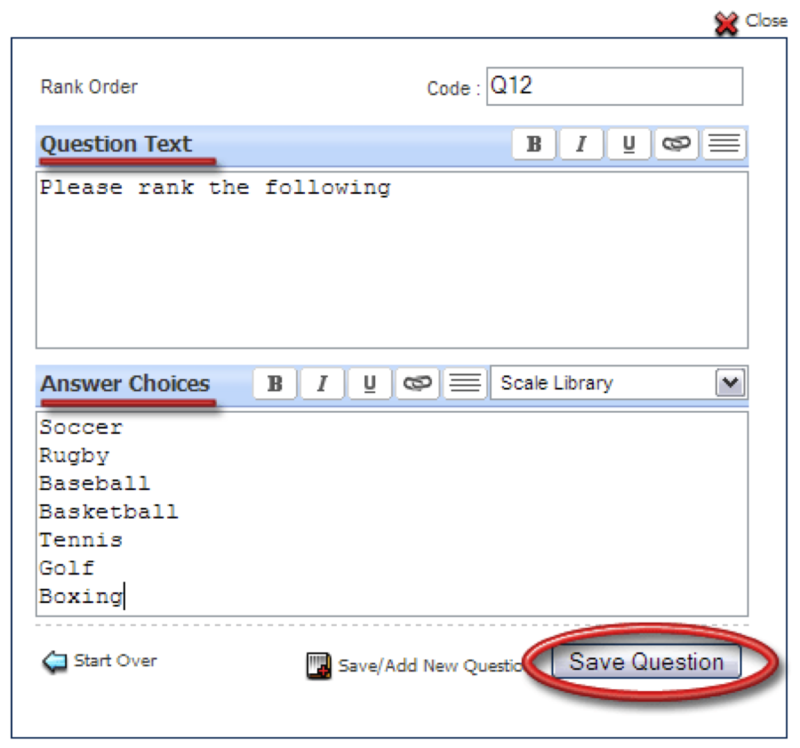 Step 3: Now enter in the Question text and the Answer options and save the question. Step 6: Pull up the survey in the iPad and view the Rank Order question. 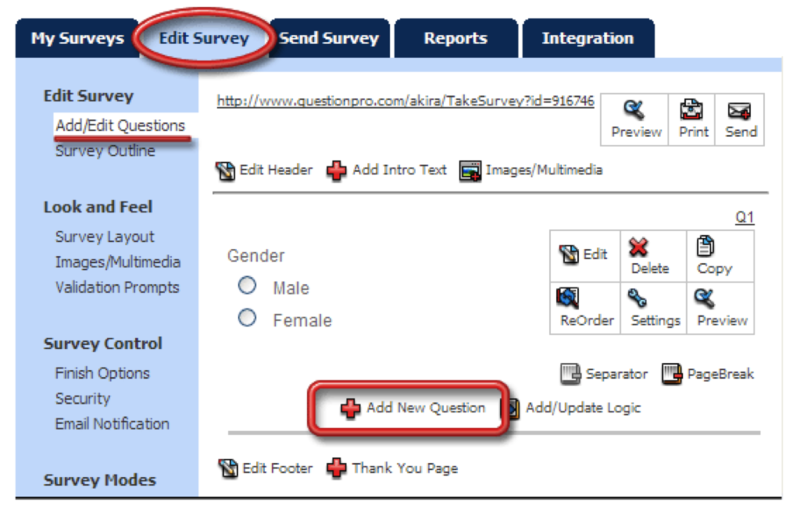 Step 7: After filling out the survey, make sure to synchronize and to view data online. Thanx for this useful information.